New Canaan girls volleyball coach Kevin Marino was named head volleyball coach at Chelsea Piers. NEW CANAAN—Kevin Marino has seen his coaching career take off in this past calendar year. 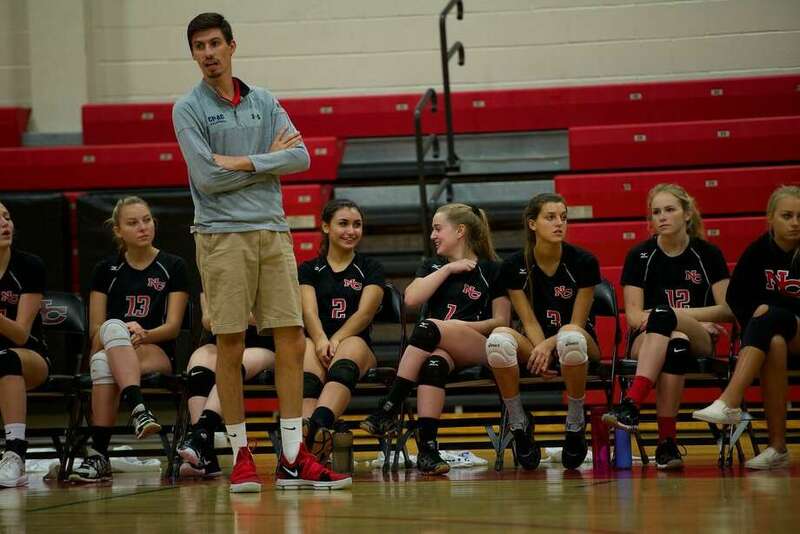 First, he was named head of the girls volleyball team at New Canaan last season, leading the Rams to their first state tournament appearance in three years, and first FCIAC tournament berth in six. Now, the 25-year-old has been named head volleyball coach at Chelsea Piers, where he has been an assistant the past two seasons. The next step for Marino is to be the face of the program at Chelsea Piers. On the court, Marino will have to shortage of talent to work with, and is looking forward to adapting his coaching style from day to day and even hour to hour. To that end, Marino will rely on his seven years of experience as an assistant, as well as his one as the head of New Canaan. And when he looks back at all he’s accomplished in the past year, it’s a mixture of satisfaction plus the desire to continue to grow.